Posted on July 8, 2018 at 10:46 am. 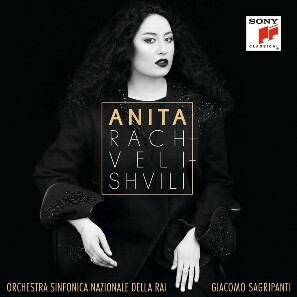 Anita Rachvelishvili was born in Tbilisi, the capital of Georgia. She became internationally known on December 7, 2009, the opening night of the Teatro alla Scala season, singing the title role in Bizet’s Carmen. Jonas Kaufmann portrayed the dangerously passionate Don José in this production staged by Emma Date and conducted by Maestro Daniel Barenboim. This performance, which was her operatic career as well as role debut, was televised worldwide. She has since debuted the role Carmen at the Metropolitan Opera in New York, The Royal Opera House Covent Garden, the Deutsche Oper Berlin, the Bayerische Staatsoper München, the Staatsoper Berlin, the Seattle Opera, the San Francisco Opera, the Teatro Regio in Turin, the Canadian Opera Company, Teatro all’Opera di Roma, the Arena di Verona, as well as making a return to the Teatro alla Scala in what has become one of her signature roles. 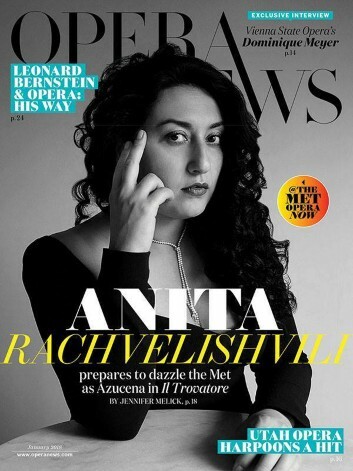 Ms. Rachvelishvili made her Netherlands debut as Dalila in concertante of Saint-Saëns’ Samson et Dalila at the Concertgebouw. She debuted at Carnegie Hall alongside Angela Gheorghiu and Jonas Kaufmann as the Principessa di Bouillon in Francesco Cilea’s Adriana Lecouvreur. She has also been heard as Dulcinée in Massenet’s Don Quichotte at the Teatro Lirico di Cagliari. Her other operatic roles have included Isabella in Rossinis L’Italiana in Algeri, performed at Teatro alla Scala, and the title role in Gluck’s Orfeo ed Euridice at the Castell de Peralada Festival. Ms. Rachvelischvili was presented at the Staatsoper Berlin as Lyubasha in their new production of Rimsky Korsakov’s The Tsar’s Bride, staged by Dmitry Cherniakov and conducted by Daniel Barenboim. She has appeared as the Konschakowna in the Metropolitan Opera’s new production of Borodin’s Prince Igor. 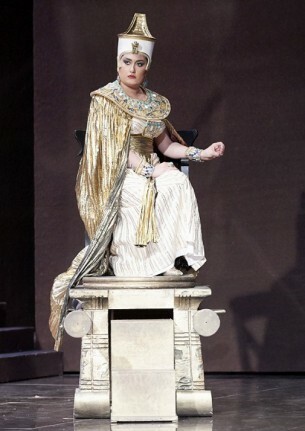 At the Arena di Verona and Teatro alla Scala she has performed Amneris in Verdi’s Aida, the second of which was a new production led by Maestro Zubin Mehta. She has also performed Verdi’s Requiem at the Salzburg Easter Festival. This season she will return to Teatro alla Scala in performances of the Verdi Requiem, the Royal Opera House Covent Garden in the title role of Carmen, the Dutch National Opera in the role of Marfa in Mussorgsky’s Khovanshchina and her debut with the Paris Opera as Amneris in Aida. 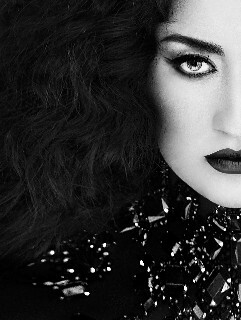 Engagements in future seasons include her Paris Opera debut as Amneris in “Aida”, “Samson et Dalila” in Berlin and Sao Paulo and at the Arena di Verona, and Azucena in “Il Trovatore” at Covent Garden and Opéra Bastille.